Are you having just one of those days? You're in luck! 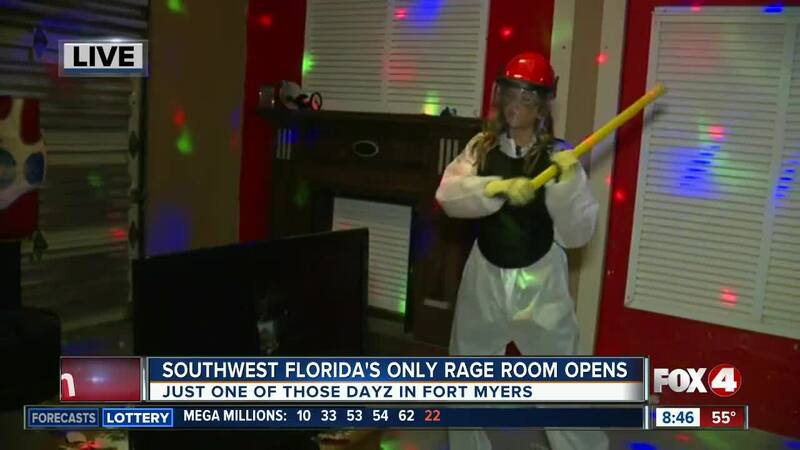 Southwest Florida's one and only rage room is now open in Fort Myers. FORT MYERS, Fla. — Are you having just one of those days? You're in luck! 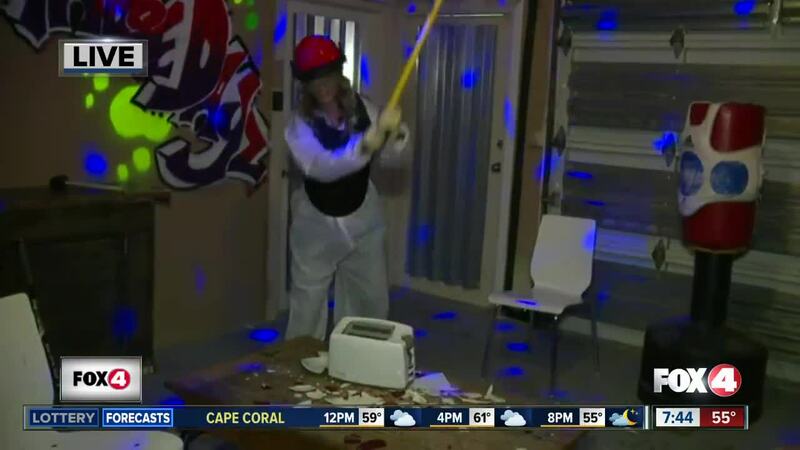 Southwest Florida's one and only rage room is now open in Fort Myers. It's called "Just One of Those Dayz," and it's designed as a safe outlet for people to relieve stress by smashing and bashing different objects. Before entering the room, you'll put on protective gear: closed toed shoes, body suit, gloves, gloves, hard hat and face mask. 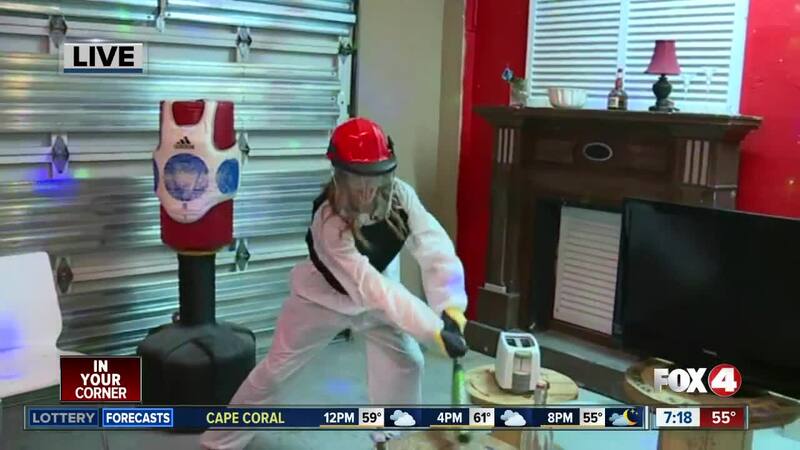 Next, you'll get to choose from a variety of tools to help you smash and bash, including a baseball bat, ax handle, rubber mallet or golf club. Finally, depending on which package you've booked, you'll get to smash different items like glasses and plates, lamps, chairs, desks, tables, etc. Just One of Those Dayz is located at 39 Mildred Drive, Unit 7 in Fort Myers. It's open Tuesday through Saturday.